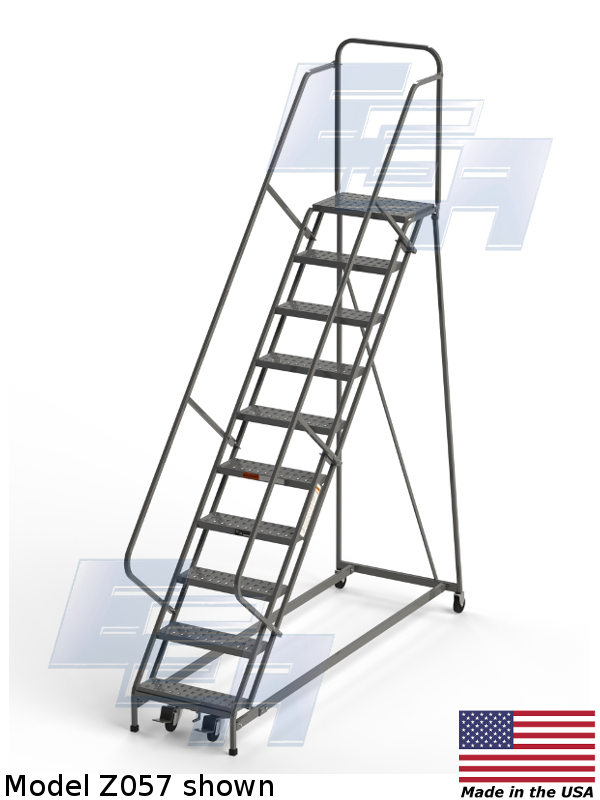 This is no ordinary rolling step ladder, ergonomically designed with a gentler 50-degree incline and deeper run, EGA’s EZY Climb Ergonomic Rolling Ladders feature the feel and comfort of a stairway to enable workers to safely carry out their tasks with maximum ease (for a ladder). 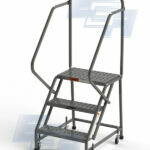 The ease of use means staff will be able to work at a faster pace while ascending or descending the gentler slope. 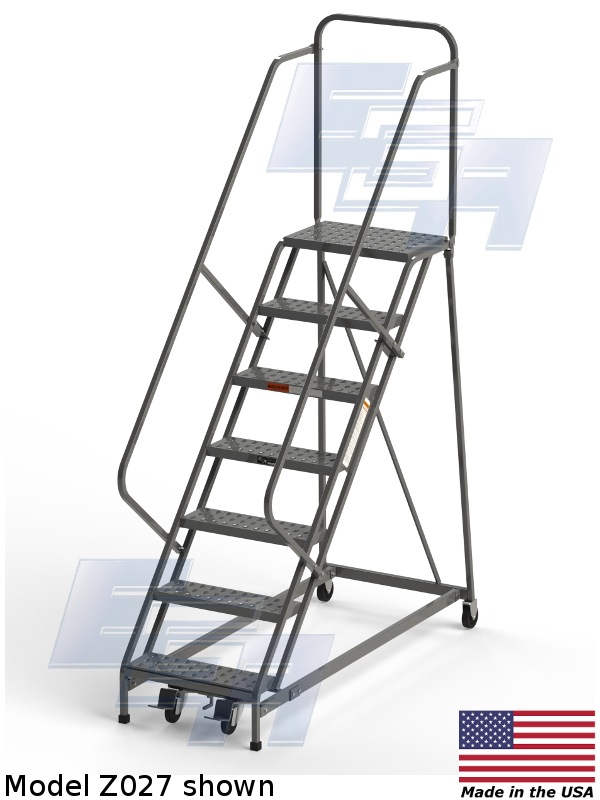 The 1″ square-tube technology used on this ladder is more abuse-resistant than conventional round tube design. 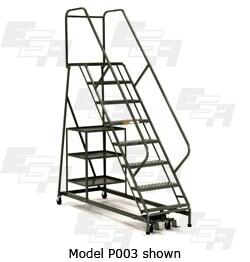 With up to 450 lbs. 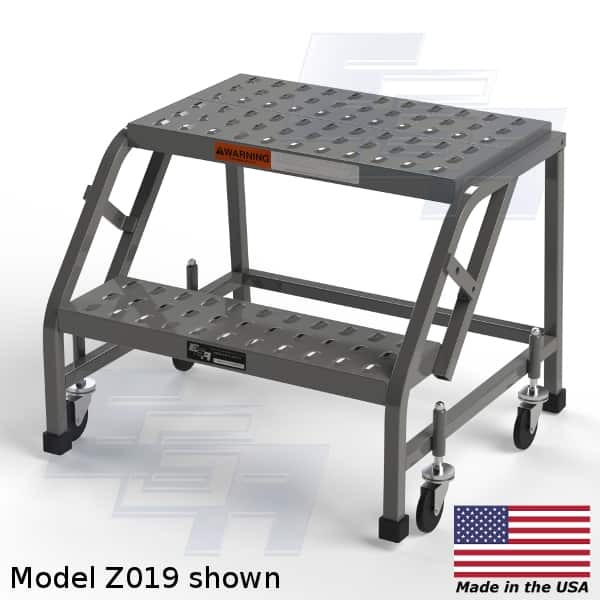 capacity, this mighty little rolling ladder meets or exceeds OSHA compliance standards for safe use and access in a multitude of industrial environments. 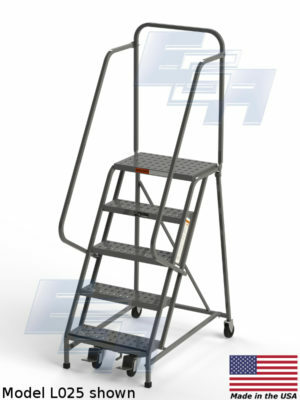 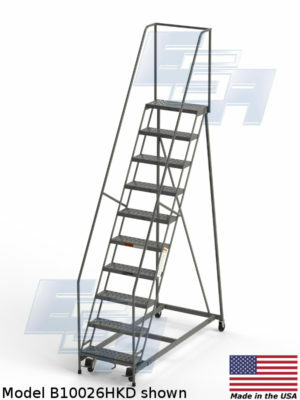 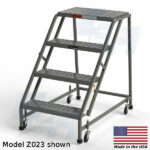 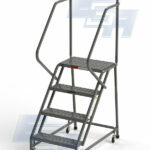 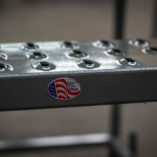 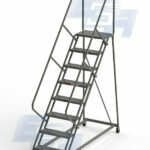 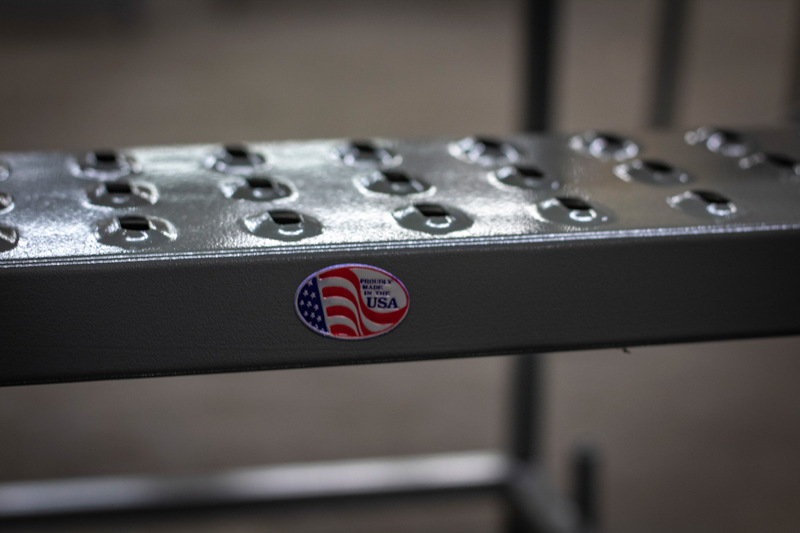 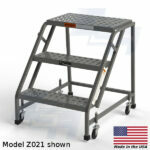 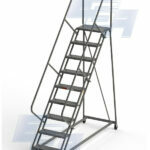 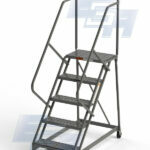 Being made in the USA, the quality and durability of this rolling ladder go beyond basic safety aspirations. 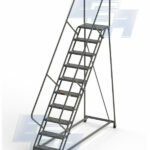 These ladders are built to last! 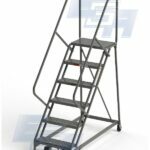 Models with two, three, or four steps feature spring-loaded 3″ casters that compress to engage rubber-tipped legs, which provide traction and secure the ladder firmly in place when in use. 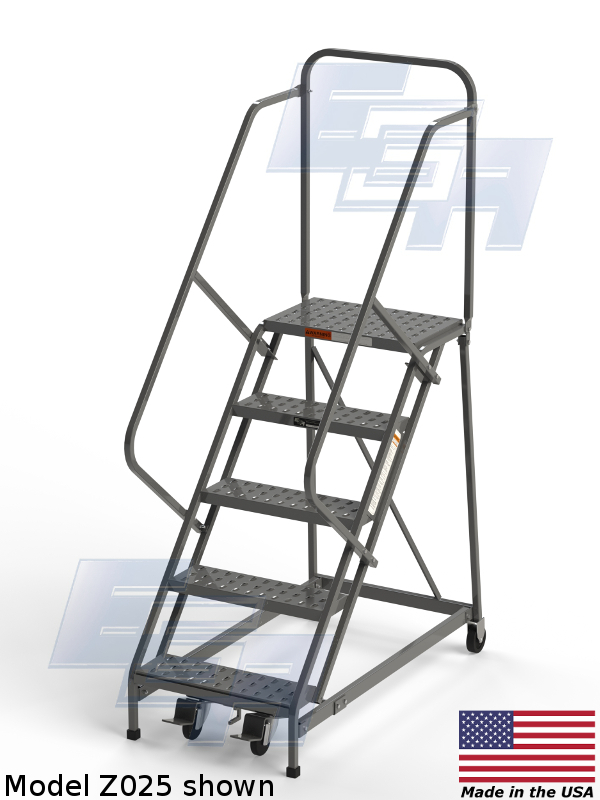 Ladders with five or more steps feature 4″ casters and our exclusive Ezy-Lock® system, which plants ladder legs firmly to the floor when pressure is applied to the bottom step. 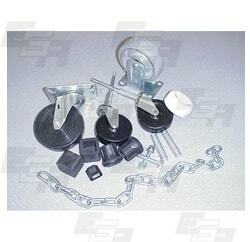 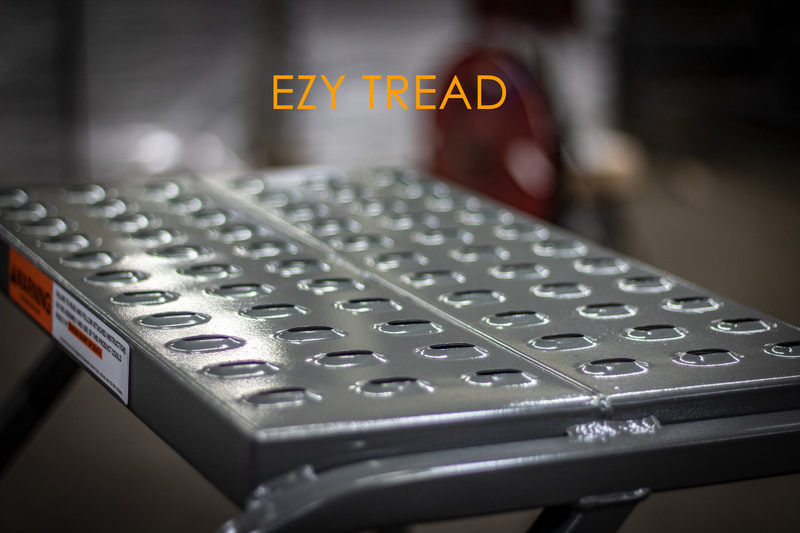 The steps are 7″ deep and available in 16″, 24″, or 30″ widths. 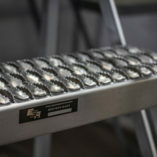 Top step is 14″ deep. 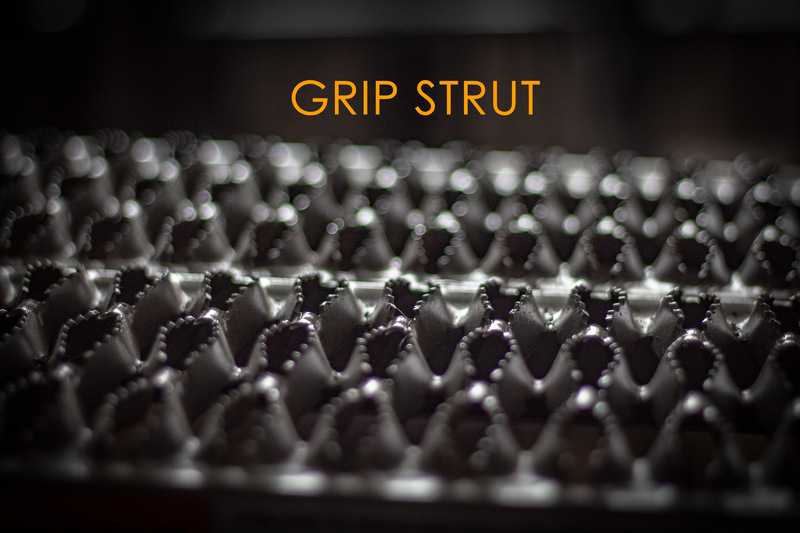 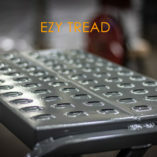 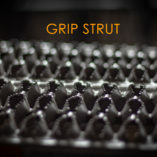 Choose perforated EZY Tread ® or technologically advanced Grip Strut® tread for slip-resistant footing. 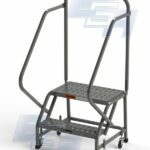 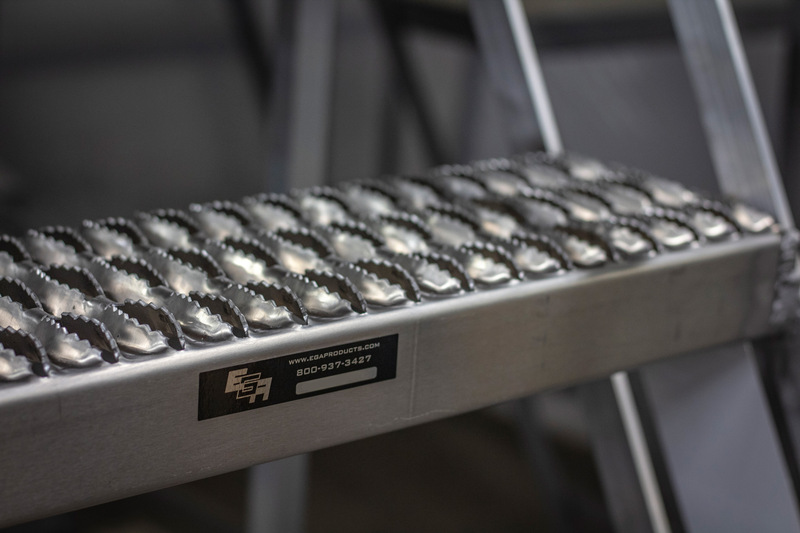 The ultimate rolling ladder comes in steel, can handle a library index full of access jobs, and is made right here in the USA – by EGA Products. 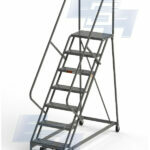 Call today and ask for a rolling ladder consultation!